Most of the Shenandoah Valley is in Virginia. It extends southwest from Harpers Ferry on the Poptomac River and lies between the Blue Ridge Mountains and the Alleghenies. It is approximately 241 km (150 miles) long and 40 km (25 miles wide). During the American Civil War the Shenandoah Valley was of great strategic importance and was the scene of many battles. 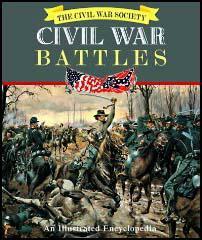 By the summer of 1862 the main Union Army under George McClellan was ready to march on Richmond. 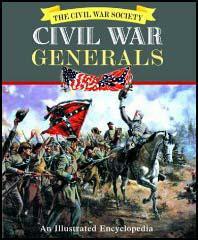 McClellan and his 115,000 men encountered the Confederate Army at Williamsburg on 4th May. McClellan moved his troops into the Shenandoah Valley and along with John C. Fremont, Irvin McDowell and Nathaniel Banks surrounded Thomas Stonewall Jackson and his 17,000 man army. 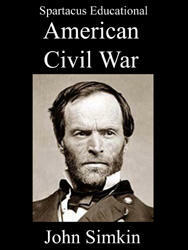 Thomas Stonewall Jackson was under orders from President Jefferson Davis to try and delay the attack on Richmond. Jackson attacked John C. Fremont at Cross Keys before turning on Irvin McDowell at Port Republic. Jackson then rushed his troops east to join up with Joseph E. Johnston and the Confederate forces fighting George McClellan in the suburbs the city. Attempts to clear out the Shenandoah Valley by Major General Franz Sigel in May and Major General David Hunter in June, ended in failure. Major General Jubal Early, who defeated Hunter, was sent north with 14,000 men in an attempt to draw off troops from Grant's army. Major General Lew Wallace encountered Early by the Monacacy River and although defeated was able to slow his advance to Washington. His attempts to breakthrough the ring forts around the city ended in failure. Abraham Lincoln, who witnessed the attack from Fort Stevens, became the first president in American history to see action while in office. In August 1864 the Union Army made another attempt to take control of the Shenandoah Valley. Philip Sheridan and 40,000 soldiers entered the valley and soon encountered troops led by Jubal Early who had just returned from Washington. After a series of minor defeats Sheridan eventually gained the upper hand. His men now burnt and destroyed anything of value in the area and after defeating Early in another large-scale battle on 19th October, the Union Army, for the first time, held the valley. By the early weeks of 1865 the Union Army removed all resistance in the Shenandoah Valley. The Shenandoah Valley was very important to the Confederates, because it was the principal storehouse they now had for feeding their armies about Richmond. It was well known that they would make a desperate struggle to maintain it. It had been the source of a great deal of trouble to us heretofore to guard that outlet to the north, partly because of the incompetency of some of the commanders, but chiefly because of the interference from Washington. It seemed to be the policy of General Halleck nd Secretary Stanton to keep any force sent there, in pursuit of the invading army, moving right and left so as to keep between the enemy and our capital; and, generally speaking, they pursued this policy until all knowledge of the whereabouts of the enemy was lost. They were left, therefore, free to supply themselves with horses, beef cattle, and such provisions as they could carry away from Western Maryland and Pennsylvania. I was determined to put a stop to this. I had previously asked to have Sheridan assigned to that command but Mr. Stanton objected, on the ground that he was too young for such an important a command. On 1st August, 1864, I sent the following orders to Major-General Halleck: "I am sending General Sheridan for temporary duty whilst the enemy is being expelled from the border. Unless General Hunter is in the field in person, I want Sheridan put in command of all the troops in the field with instructions to put himself south of the enemy and follow him to death. Wherever the enemy goes let our troops go also." During this campaign of 1864, my battalion of six companies was the only force operating in the rear of Sheridan's army in the Shenandoah Valley. Our rendezvous was along the eastern base of the Blue Ridge, in what is known as the Piedmont region of Virginia. Fire and sword could not drive the people of that neighborhood from their allegiance to what they thought was right, and in the gloom of disaster and defeat they never wavered in their support of the Confederate cause. The main object of my campaign was to vex and embarrass Sheridan and, if possible, to prevent his advance into the interior of the State. But my exclusive attention was not given to Sheridan, for alarm was kept up continuously by threatening Washington and occasionally crossing the Potomac. We lived on the country where we operated and drew nothing from Richmond except the gray jackets my men wore. We were mounted, armed, and equipped entirely off the enemy, but, as we captured a great deal more than we could use, the surplus was sent to supply Lee's army. The mules we sent him furnished a large part of his transportation, and the captured sabres and carbines were turned over to his cavalry - we had no use for them. I believe I was the first cavalry commander who discarded the sabre as useless and consigned it to museums for the preservation of antiquities. My men were as little impressed by a body of cavalry charging them with sabres as though they had been armed with cornstalks. In the Napoleonic wars cavalry might sometimes ride down infantry armed with muzzle-loaders and flintlocks, because the infantry would be broken by the momentum of the charge before more than one effective fire could be delivered. At Eylau the French cavalry rode over the Russians in a snowstorm because the powder of the infantry was wet and they were defenseless. Fixed ammunition had not been invented. I think that my command reached the highest point of efficiency as cavalry because they were well armed with two six-shooters and their charges combined the effect of fire and shock. We were called bushwhackers, as a term of reproach, simply because our attacks were generally surprises, and we had to make up by celerity for lack of numbers. Now I never resented the epithet of "bushwhacker" - although there was no soldier to whom it applied less - because bushwhacking is a legitimate form of war, and it is just as fair and equally heroic to fire at an enemy from behind a bush as a breastwork or from the casemate of a fort. I will soon commence work on Mosby. Heretofore I have made no attempt to break him up, as I would have employed ten men to his one, and for the reason that I have made a scapegoat of him for the destruction of private rights. Now there is going to be an intense hatred of him in that portion of the valley which is nearly a desert. I will soon commence on Loudoun County, and let them know there is a God in Israel. Mosby has annoyed me considerably; but the people are beginning to see that he does not injure me a great deal, but causes a loss to them of all that they have spent their lives in accumulating. Those people who live in the vicinity of Harper's Ferry are the most villainous in this valley, and have not yet been hurt much. If the railroad is interfered with, I will make some of them poor. Those who live at home in peace and plenty want the war to go on; but when they have to bear the burden by loss of property and comforts, they will cry for peace.